Not every young girl has an older sister to look up to, a mother willing to listen, an aunt who makes time, or even a mentor who reaches out regularly. So when girlfriends are too busy, or even a male friend or family member isn’t the person you want to turn to for advice, sometimes you just need some words of wisdom – from a book. 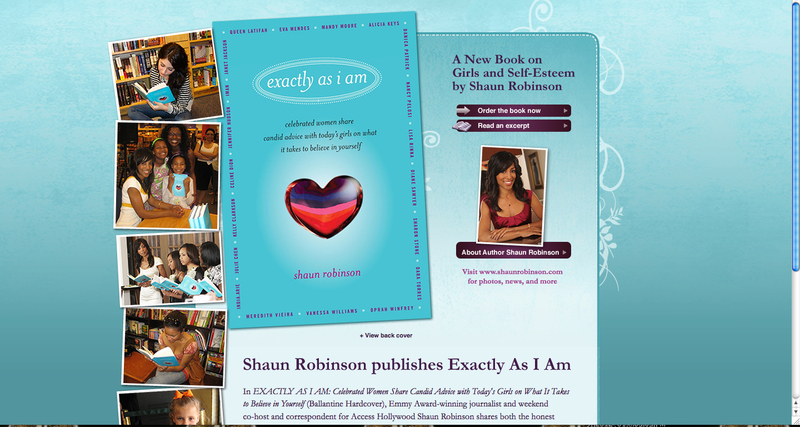 Shaun Robinson, known for her dynamic role as Access Hollywood’s TV Host, is also an author, and wrote a book targeting these young women. What is the book about, specifically? It’s in the title: Exactly As I Am: Celebrated Women Share Candid Advice with Today’s Girls on What It Takes to Believe in Yourself (Ballantine Hardcover). The book is an honest look at some of the challenges young girls are having to face, including self-acceptance, choosing friends, taking care of and staying true to yourself, and of course, the topic of boys. Shaun addresses each issue from her own point of view, writing candidly about her experiences and outlooks. 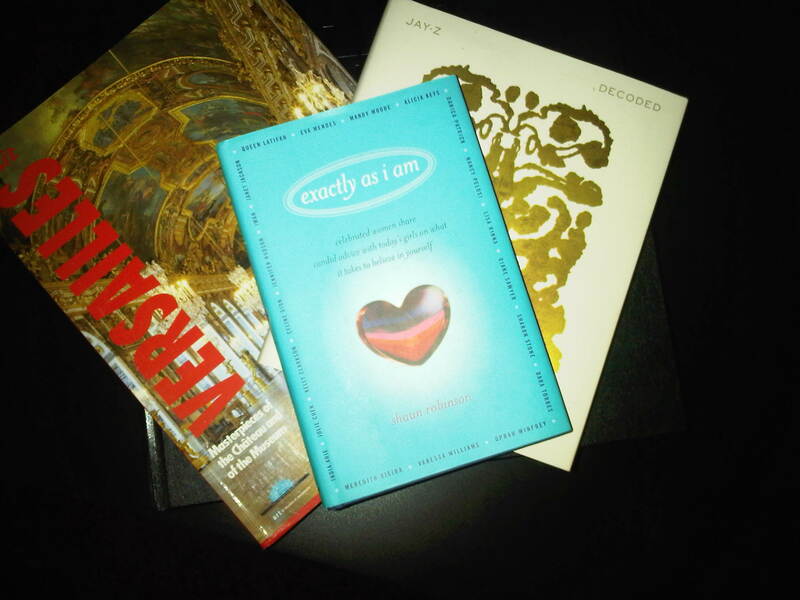 What’s nice about the formula for her book is that she intersperses her insights with the wise words of some very notable women, including Jamie Lee Curtis, Celine Dion, Diane von Furstenberg, Janet Jackson, Patti LaBelle, Queen Latifah, Nicole Miller, Julianne Moore, Mandy Moore, Martina Navratilova, Nancy Pelosi, Diane Sawyer, Gov. Kathleen Sebelius, Gabrielle Union, Meredith Vieira, Vanessa Williams, Alicia Keys, Jennifer Hudson, Oprah Winfrey, Eva Mendes, and Nancy O’Dell among plenty of others. It’s like having that older sister, mother, aunt, mentor and girlfriend, at their fingertips! Another beautiful thing is that the book is also filled with quotes made by young girls. And so, as we commend Shaun for her message, the young girls who read the book will gain insight, first hand, from some solid women who have experienced the things they are going through, first hand. You know, as much as the young readers will learn from the book, I think there are several things adults can take away from it as well. How do I know, you ask? Because it’s been a part of my collection too! You can go to the book’s website to learn more about it.